How do we find our house sitting assignments? 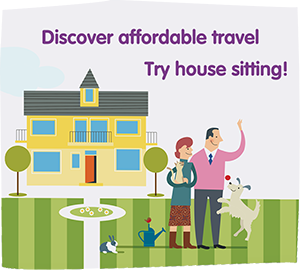 A lot of our sits have come from referrals and personal networking while we were in Central America, but once we decided we were heading to Europe we needed to look at housesitting website platforms to do our networking. HouseSit Match customer service is top notch! Go on, take a peak, each of the sites let’s you browse what is available ….so you can start doing some planning of your own. 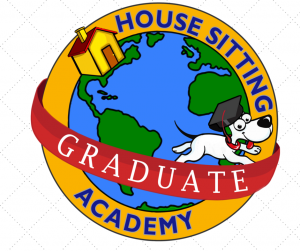 We also proudly can promote that we have completed the House Sitting Academy course and are proud graduates. The course is chock-full of information, resources and guides and well worth the investment!!! MAJOR BONUS (and a reason you should join if you are serious about housesitting): Upon joining the Academy you are given access to a very exclusive, private, Facebook Group that is an amazing referral network. Often times members post unpublished house sits where an Academy member has already sat or personally knows the person in need. We have personally used this network to help our personal friends out, while connecting them with sitters that aren’t ‘strangers’ to us. You can always post questions for us or follow along with us on our house sits on Facebook, we would love to meet you over there! (just on a side note, some of the links above are affiliate links, meaning if you purchase/subscribe to the site we may earn a small commission, but it won’t cost you an extra. And we only promote services that we have used and recommend).